West Ham United are in the hunt for AS Roma striker Edin Dzeko as a potential replacement for Marko Arnautovic, according to the Daily Star. The newspaper reports on their website that the former Manchester City star – who previously worked with current Hammers boss Manuel Pellegrini at City – is to be sold by the Italian club this month, and that Everton have also admitted their interest. Arnautovic could leave for Chinese club Shanghai SIPG this month, so the Irons have identified Dzeko as target, alongside Bournemouth’s Callum Wilson. Despite the fact that Dzeko may be 32-years-old, that does not take away the fact that he is still a proven goalscorer. He has netted seven goals in 19 games for Roma this season, which is not the worst return – so West Ham would be wise to snap a forward like him this month. 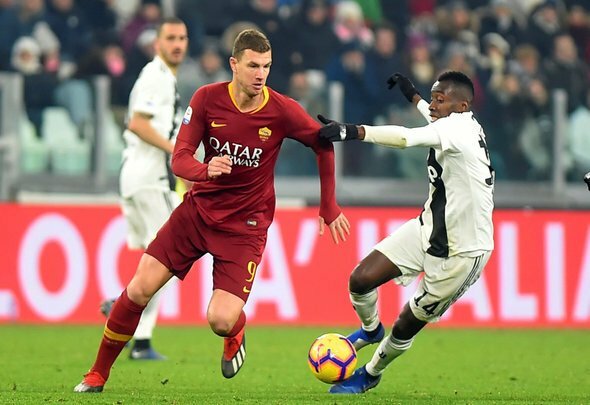 With Roma already willing to offload the attacker, signing him would not pose a problem in the slightest – however, they do face an obstacle in the shape of Everton if they decide to sign him. The Toffees are also in need of a striker in this window, so they will no doubt be thinking that they can swoop for him as well. It looks like it will be a two horse race for his services this month, but the Irons must ensure that they come out on top. With Arnautovic likely to leave, they cannot be without a talisman until the summer, and Dzeko is the perfect candidate.